The trend toward lightweight vehicle parts is driving changes in manufacturing processes and metalworking fluids. Read more. And to learn more about lubrication innovations, register now for Lubrication Technology for Metalformers, February 12-13, Schaumburg (Chicago), IL, powered by MetalForming with support by the Society of Tribologists and Lubrication Engineers (STLE). Following its acquisition of Wisc.-based Marvel Mfg., Inc., Japan-based Amada Group has announced the formation of Amada Marvel, Inc. Read more. Yaskawa Motoman, Dayton, OH and the Robotics & Advanced Manufacturing Technology Education Collaborative (RAMTEC), Marion, OH, have announced the formation of the Ohio Manufacturing Workforce Partnership to create a workforce development model and to provide Ohio educators and students with STEM-aligned curriculum and training to become proficient in Industry 4.0 technologies. Read more. 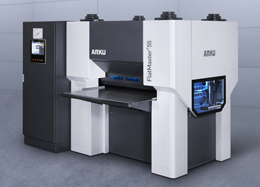 ARKU manufactures precision levelers which flatten and relieve the internal stresses for parts/sheets prior to or after various methods of cutting (laser, plasma, oxyfuel, etc.). This allows for improved downstream processing and higher quality output for your production while simultaneously saving you time and money. Read more! 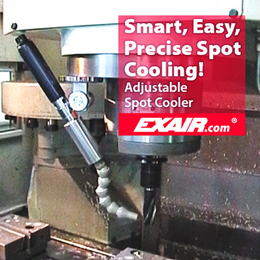 EXAIR's Adjustable Spot Cooler is the low cost, maintenance free solution to a variety of industrial spot cooling problems. With the turn of a knob, you can select temperatures from minus 30 degrees Fahrenheit to room temperature. Web site offers detailed information, downloadable drawings and PDF literature. Brought to you by PMA and MetalForming magazine, this is a great opportunity to become familiar with state-of-the-art servo technology used in presses, transfer systems, coil-feed lines and more. Aimed at engineers and technicians working in metalforming plants, as well as management, the event provides technical presentations and case studies describing how modern servo-based equipment can help stampers improve productivity and quality. Learn more and register. 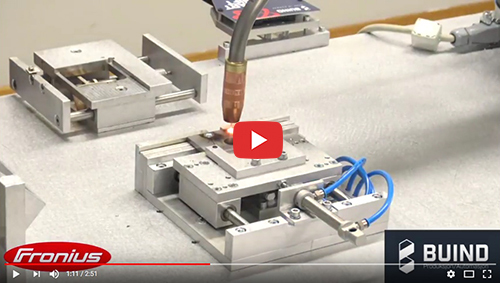 Check out this proof-of-concept robotic welding operation, from part assembly to complete part, developed by Norway-based Buind A/S, Denmark-based Universal Robots A/S and Austria-based Fronius International GmbH. The process can be automated without human intervention, allowing for 24/7 operation. Equipment and process changes ensure quicker die changes, increased press uptime and more at Northern Stamping, Inc.
Downtime, cost comparisons and future work led Yorozu Automotive Tennessee to opt for new feeder-straightener packages rather than rebuilds. EuroBLECH 2018 - Register Today! Join us October 23 – 26, 2018 in Hanover, Germany for the world's largest exhibition for the sheet metal working industry. 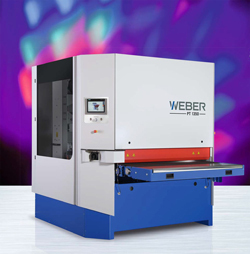 Visit with over 1550 exhibitors to discover the latest trends and machinery and learn how digital transformation is playing a major role in the sheet metal working industry. Register HERE! The Servo Technology Experience, presented by MetalForming magazine and the Precision Metalforming Association, brings you state-of-the-art servo technology used in presses, transfer systems, coil-feed lines and more. The event will provide technical presentations and case studies describing how modern servo-based equipment can help stampers improve productivity and quality. Learn more and register! 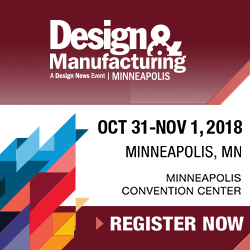 D&M Minneapolis focuses on injection molding, rapid prototyping / 3D printing, contract design / manufacturing outsourcing, laser cutting, fastening, joining, assembly components, and more. Don't miss this chance to explore all the latest technology. Register now. See also: ARKU, Inc., Heyco Metals, Inc., Exair Corp, Hans Weber Co., IQMS Manufacturing ERP & MES, Industrial Magnetics, Inc.